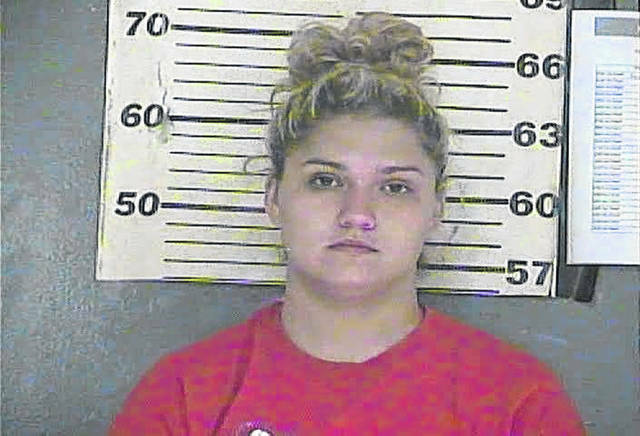 A warrant was issued Monday for the arrest of 20 year old Kelly Dummit of Greenup, KY. Formerly of Portsmouth, Dummit was initially given a 7 year diversion to potentially avoid jail time for her involvement in the death of Mattie Conley, for allegedly violating the terms of her probation. According to probation & parole officers Tuesday, there had not yet been a hit on the warrant and the search for Dummit was still ongoing. A call to the Greenup County Circuit Clerk’s Office revealed that Dummit had several violations, including failure to cooperate with a probation officer. Photos and videos from an anonymous source were sent to Dummit’s Probation Officer which depicted Dummit consuming alcohol, and when given the opportunity to tell the truth about the images, Dummit suggested they were a year old. Allegedly, after Dummit’s phone was confiscated the Probation Officer was able to identify the photos as current. Dummit also has violations for breaking her dusk to dawn curfew after being reminded of the terms last Thursday during a routine home visit, and leaving the state without permission on July 28th to visit Portsmouth. According to the probation officer’s report, after being given permission during a regular report day to exit the facility and smoke a cigarette, Dummit fled the premises. Dummit is supposedly driving a Pontiac G6, red in color. While her current whereabouts are unknown, any individual with information regarding her location should contact local authorities.